I think it is important to start a discussion about how the NCAA and schools are going to handle the new Supreme Court ban-lifting of sports betting across the country. While I don't think the pro ranks will be affected much, this might become the absolute wild west when it comes to college athletics. There is virtually no limit to what can and cannot be gambled on now. Just because of pure volume of teams and games (300+ teams) in D1 college athletics and 20 different sports, some are projecting that college sports will demand more of a pull on sportsbooks than professional sports. The concern, of course, is that college kids are MUCH more likely to be wooed by under the table money to intentionally miss a shot, drop a pass, fake an injury or otherwise shave points in almost any sport. The loss of a scholarship may not be as scary to them if someone is willing to pay them $150,000 to throw that game. How do you think Illinois, The Valley, the NCAA and ISU should go about protecting the integrity of its athletics and do you think major programs across the country will do the same? I don't think the risk of college athletes being on the take is any larger than it was last year when this is outlawed. The people who would be paying the athletes are the same ones that would have been paying them while betting in vegas or illegally in my opinion. I think the big thing to look at will be 1. If the NCAA decides they want a cut of the profits and 2. How much do they take. If they do want in, people all over are going to be clamoring that the athletes should get a piece of the action too (can't really fault them) and if the NCAA decides they want a large slice of the pie, I would suspects that we will have full on protests of NCAA athletics until college athletes are paid. This could result in a direct change to the way college athletes are handled overall. 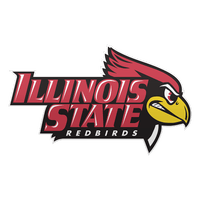 wasn't there a time when Illinois State was not given any odds and other larger schools were? what odds you give me? You two are the odds couple. TP Guy is a slob. Drives me nuts. TPGuy, you need to get even.